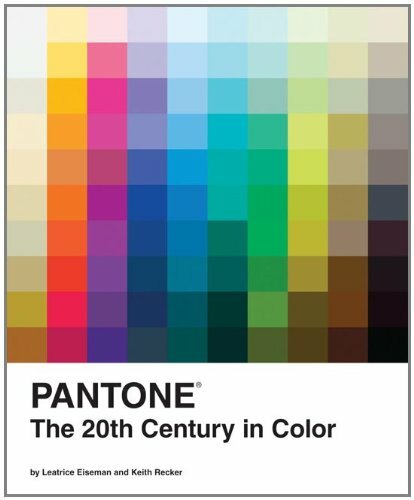 'The 20th century in color' seems an incredibly slim premise for a book and so it turns out. Really just a collection of color photos and graphics tipped into the pages. There seems to be no objective criteria for the choice of images, their significance or how they are used. Each spread has a large photo on the right-hand side yet so many of these are just not worth using big because of poor quality or blandness: page 163 has a soft focus PR shot of Don Johnson and Philip Thomas from Miami Vice; page 149 an equally soft focus John Travolta from Saturday Night Fever; a badly cropped and uncolorful shot Kurt Cobain is on page 175. The authors have written some very generalized historical copy to go with the images and this text seems to rely on what pictorial material was available for each mini essay so a series of pictures from the past are included even though they have no particular historical relevance. The fact that I picked up a copy really cheaply suggests to me that the title has no substance or sales and was quickly dropped into the Close-out bin.